This Stress-Free Fish Tank Lets Plants Do the Cleaning. 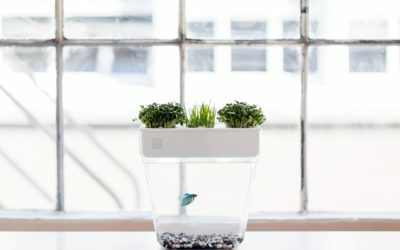 It provides a nice place to house your fish, with a miniature garden that filters the water and repurposes fish waste as fertilizer. The pump delivers water to the garden in the lid, providing nutrients to the plants. A self-cleaning, self-sustaining ecosystem that requires little maintenance. Aquaponics for Dummies The Back to the Roots $100 starter kit includes with a 3 gallon tank, a water pump, gravel for the floor of the tank, grow stones for the planter tray, and packets of wheatgrass and radish seeds. Unlike traditional tanks, you skip the water filter and the hassle of regularly changing the water, because the roots clean the water for you. 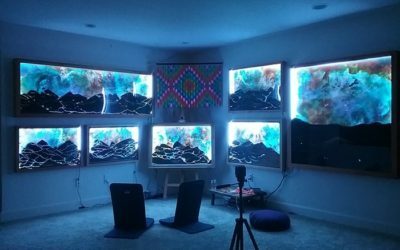 Nikhil Arora, cofounder of Back to the Roots, says the company worked with Daylight Design to make aquaponics easy and approachable. “It’s got to look good and be easy,” Arora says. But a tank like this makes it easier for you to believe that it is. 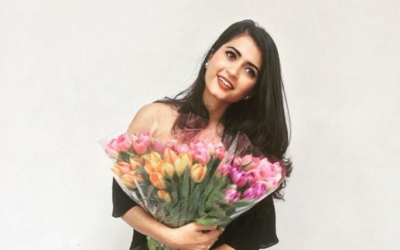 Marketing expert by profession with a passion for fashion and an entrepreneur at heart, Aarzoo Batra demonstrates her flair for branding with her latest venture into Singapore’s flower industry A fresh bouquet of flowers can instantly lift anyone’s mood. It’s too bad that buying flowers for yourself is not yet widely practiced since buying yourself a bouquet is often attached to negative self-image. Fresh out of uni, Batra landed a job at Facebook, something some of her contemporaries would consider a dream job. Despite the demands of a day job, she was also busy building her personal brand as a fashion blogger and lifestyle guru. Her passion for fashion eventually led to her first business venture, Masakali, an online e-commerce platform selling carefully curated and high quality Indian wear to a global market. There aren’t too many things in the world that consistently have that effect on you.” She then substantiates this with her business savvy as she delves into the industry’s potential. What makes Her Flowers stand out from the vast crop of flower shops and online florists is its credo of buying flowers for self-care. “Her Flowers is an aspirational feminine brand that is bold, expressive and puts women in a powerful light. “We are communicating this through different marketing campaigns that feature women leaders across industries. Fish Tales: Sourcing Recreational Fisheries Data from Newspaper Records. In Australia, scientists working with The Nature Conservancy successfully used historical newspaper records to gather data on recreational fishing in Australia’s Noosa Estuary, revealing declines in the fishery over time. 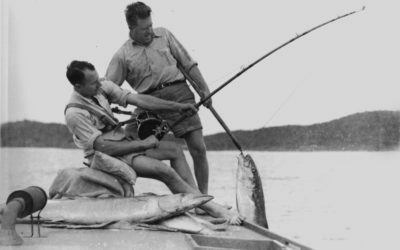 “Noosa has always been a popular fishing area, but beyond anecdotes, we didn’t know much about the estuary’s ecological history.” From The Weekend Fishing Report to Ecological Data To help fill the data gap, the Conservancy partnered with Thurstan for help assessing historical fish populations. The first group were just casual fishers, both Noosa locals and tourists, while the second group were highly skilled fishers with significant experience and local knowledge. “For the less skilled population, there was a quite sharp decline over time in the returns of the fish, or number of fish caught per trip,” says Thurstan. But within the skilled fisher group, particularly fishing competition winners, there was no such decline. Her data shows the changing experiences of recreational fishers, and not precise measures of fish stocks. Thurstan’s results also reveal an under-recognized nuance in fisheries conservation. Both conservationists and scientists tend to split fisheries stakeholders into two groups — commercial and recreational fishermen — but they rarely consider fisher skill level when soliciting anecdotal data or crafting conservation messages. Fittingly, the unique source of this historical data makes it easier to engage with local fishers, because tourists and locals alike read versions of the very fishing reports that Thurstan used as data. Trump wants to ignore the effects of climate change when permitting infrastructure projects.. President Trump signed an executive order Tuesday that he said will streamline the environmental review required to get large public construction efforts — like roads, bridges, and buildings — off the ground. The policy sets a goal of two years for finishing a permitting process and assigns a lead government agency to helm each approval. The order also rescinds an Obama-era requirement that government-funded buildings take into account likely sea-level rise in design and construction. Updating America’s “crumbling infrastructure” became a central tenet of Trump’s presidential campaign — and he promised billions to the effort. Trump called the current permitting process a “massive, self-inflicted wound on our country.” “It’s disgraceful,” the president said. The White House argues the order will bring “accountability and discipline” back to the permitting process. 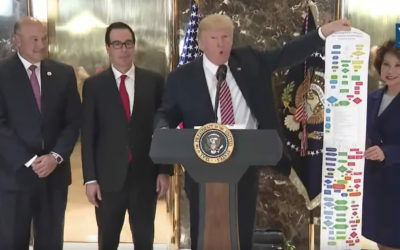 But many environmentalists decry it as an obvious attempt to skirt environmental rules — and cite it as further evidence of Trump’s anti-climate change agenda. 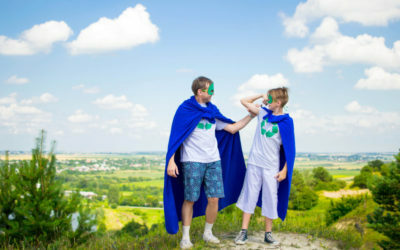 4 Clever Ways to Encourage Your Children to Recycle. Sort-the-Recycling Game To get kids started in the world of recycling, you first have to teach them how to sort. With nothing more than cardstock, magazines, berry containers, scissors and double-stick tape, you can create a delightful game that allows your little ones to use their problem-solving skills and develop a love for sorting recyclables at the same time. Nature Walk Recycling Game Nature walks have always been my go-to trick to get kids moving and interacting with their environment. Take along two bags — one for trash and one for recycling. Take some time to talk about why we shouldn’t litter and how it’s bad for our environment. Start by explaining that the goal is to find as many recyclable metal items as possible. Then, grab a child-sized metal detector and something to carry your finds in, and let your kids go exploring. By turning trash into “treasure,” you’ll get your kids excited about cleaning up their environment — and if you happen to find something of value, that’s just a bonus! Read these books together and talk to your kids about why you recycle, and why you think it is important for every member of the family to do so as well. Ant Space: The Enlightened Ant Farm – Kickstarter Campaign. “Each Ant Space is an ecosystem. Play with the life inside. The narrow habitat makes the game one of subtle manipulation. Sculpt the scene only from above. Drop in seeds and water, add more ants and colored sand. Intelligently design a complex balance of creatures and plants. The Ant Space will evolve over years as a co-creation between the life within and the hand that placed it there.” You’ll need an HTML5 capable browser to see this content. 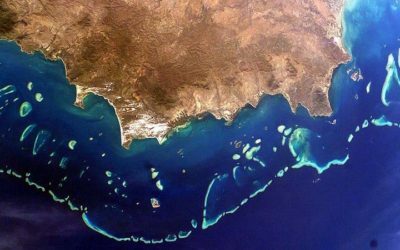 Government loses vote on bill noting the government’s ‘failure to protect’ reef on day of chaos in Canberra Australia’s parliament has passed a bill admonishing the government for failing to protect the Great Barrier Reef from climate change. The reef, which stretches 2,300km down the northeastern coastline of the continent, has been severely damaged by consecutive bleaching events in the past two years. The death of 22% of corals in 2016 was followed this year by a second bleach, leaving scientists questioning the survival of the wonder. But the recovery of bleached reefs can be assisted by management of other pressures, including overfishing and pollution. The Australian and Queensland governments have been criticised by Unesco, the UN body that oversees the World Heritage site, for failing to stop agricultural runoff from impacting the ecosystem. A draft report released in June noted with “serious concern” that “progress toward achieving water quality targets has been slow”. Climate Weekly: Sign up for your essential climate news update The bill and Labor’s amendment passed on a day of chaos inside and outside the parliament, during which the government accused the Labor party of a conspiracy with Labour in New Zealand after the deputy prime minister Barnaby Joyce was caught up in a rolling citizenship row. But several government members failed to attend the vote, which the government lost 69 to 61. Australian parliamentarians hardly ever cross the floor to vote against their party, meaning it is rare for a government to lose a vote even when it carries the slimmest of majorities. Planting community at the Hilyard garden. So why wouldn’t you want to grow your own food and save a ton of money? You can grow everything you eat and be more healthy for the exercise and for the good food you’re eating.’ Walking through the new Hilyard Community Garden, Klamath Tribes Food Security Program Coordinator Perri McDaniel sees a wealth of potential in the raised beds and greenhouse. 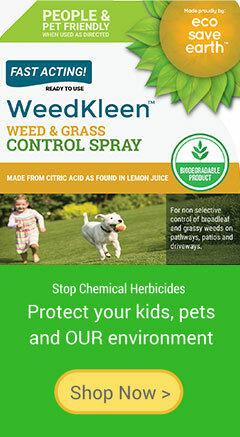 “Gardening is a permit to print your own money because food is so expensive these days, especially organic food,” said McDaniel. “So why wouldn’t you want to grow your own food and save a ton of money? The food security grant supported the construction of eight greenhouses to test the hypothesis of whether private ones were more successful than community ones. For this project, they also received support from the San Manuel Band of Mission Indians and other local partners. 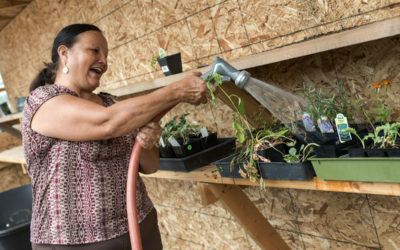 “Like the Klamath Tribes, San Manuel believes in sustainable lands and supports native communities in their efforts to produce healthy food options for their tribal communities.” While the new garden is available for all tribal members, McDaniel said she wanted to provide an opportunity for the elderly and their families to plant. Weiser said this garden can aid members of the community, many of whom are low income, and gives young people a sense of responsibility. 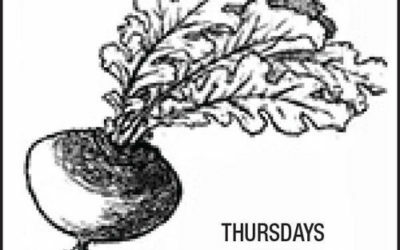 Back to the source A community space “Some people shy away from eating healthy because of the cost, so the way that I see it, the more that we grow, the cost will decrease,” said gardener Weiser. Recovery: Farm Bill Provides Hope for the Cerulean Warbler. But with funding from the Natural Resources Conservation Service (NRCS) available from the Farm Bill’s Regional Conservation Partnership Program the Appalachian Mountains Joint Venture (a partnership of state and federal agencies and NGOs including The Nature Conservancy) is helping private land owners restore cerulean habitat. Fortunately, however, NRCS (which usually provides 75 percent under the Farm Bill’s Regional Conservation Partnership Program) allows the landowners’ share to be covered by partner contributions such as donation of potentially blight-resistant American chestnut trees by the American Chestnut Foundation. “And white oaks tend to have more open canopy structure. One of the things we’re looking at is how much of the canopy you can remove and still have good habitat for cerulean warblers. 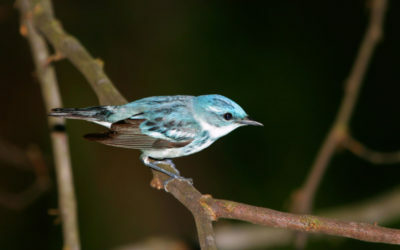 “But because cerulean warblers breed in our eastern hardwood forests that’s the only place you can produce more of them. The Conservancy’s niche is building relationships with landowners, helping them understand that good forest management can contribute to traditional values and spinoff benefits for species of conservation concern, maybe species these landowners are not aware of.” The Conservancy’s Working Woodlands Program, which protects private forests with conservation easements while still allowing sustainable timber harvest, doesn’t specifically target ceruleans. But by promoting forest diversity and health, protecting hard-mast producing trees and encouraging desirable understory vegetation, the program helps foster forest conditions ceruleans require. “The Nature Conservancy has worked with landowners who enrolled in Working Woodlands to continue active management that would make the forest healthier and that lines up well with our cerulean forest management guidelines,” says Todd Fearer of the American Bird Conservancy. “The current Farm Bill’s Regional Conservation Partnership Program (RCPP) is how we’ve been able to accomplish almost all the private lands work. Fromage a Trois offers freshly made mozzarella and burrata cheeses. However you want to call them: “husk cherries, gooseberries or ground cherries” get this sweet fruit from Allen Farm along with their locally raised honey, cut-stem zinnias, nasturtiums, an assortment of fresh herbs, large purple and oriental eggplant, green peppers, and assorted heirloom tomatoes including sungold and indigo cherry varieties. Sample and take home Martha’s Vineyard Smokehouse’s ever-popular Bluefish or Spicy Yellowfin Tuna Spread. Sample the Rose Mermaid Water, Reel Red and Vineyard Sound White Sauvignon, among other popular varieties. Farm-raised whole chickens and, this week, check out their sale on their locally raised ground beef. Coming soon: puréed pumpkin pie. This week, look for a new vegan treat to try! You can also take home a small bucket to fill and bring back the following week. That means fresh food for low-income families as well as increased revenue for local farmers. We will double your SNAP card purchase at each market up to $10 in free tokens; visit the market information table before shopping to get started.